I’m pleased to present to you my budget proposal for the 2019-2020 biennium. First, I want to thank Jan Hawn and her staff for all their work in preparing the budget document that you will receive in a few minutes. I also want to express my appreciation to 17 members of our community who served on our Budget Advisory Committee. They represent the diversity of our community and brought different areas of expertise and interest to the budget process. And special thanks to our department administrators for their effort and collaborative spirit in preparing for this budget. Throughout the process, they focused on our ability to continue providing quality services citywide defined in your Business Plan, not just the specific needs of their department. Following my comments, Jan Hawn will provide you with an overview of the budget, including more specific details. She will also provide a schedule for department administrators to present their respective budget proposals to you. To begin, I want to say that I feel we are fortunate as a city. Our financial situation remains strong. I would like to reflect back on some history of the past few years. Like every jurisdiction across the country, in 2009 we faced the most difficult times any of us had ever experienced. We had to immediately make cuts in expenses. We had to reevaluate everything we did to see what level of services we could continue to provide. In Renton, we reduced staff, and dramatically tightened our budget, despite significant growth in population. As years progressed, the economy improved and revenues increased. Yet we remained conservative and careful in our staffing and overall spending. We found new, more efficient ways of doing business and we set higher goals in the level of service we wanted to provide our residents. We made commitments to be more effective in addressing public safety needs, and we made code enforcement a priority. We devoted a lot of training and resources on leadership and human resources. This resulted in a workforce that continually receives praise from our citizens for the service they provide. We also took our commitment to being an inclusive community to heart. We have built strong relationships with leaders from every ethnic and religious group in our community. The Renton African-American Pastors group was formed by local pastors and has developed a meaningful relationship with our police department. We recently enjoyed two days of pageantry, and great performances with engaged crowds as we celebrated our third Renton Multicultural Festival. Diversity and implicit bias training has been provided to all city employees. The HR Department has led the region in launching several new hiring policies to provide more opportunities for all applicants. And our Administrative Services Department developed a plan to improve access to City purchasing and contracting services. We have strengthened our partnerships with Renton School District, Renton Technical College and local businesses. The opening of the Sunset Neighborhood Park is a testament to what can be achieved in working with long-term partners to build our community. The Renton Housing Authority, KCLS, private developers and support from the State Legislature have helped us transform the Sunset area into a beautiful new neighborhood teeming with investment. The Family First Community Center, which will improve the quality of life for thousands of our residents in the Cascade area, is another example of what can be accomplished through strong partnerships. Today, we don’t have to look far from our city limits to see the struggle jurisdictions are facing in providing basic services. We’ve been fortunate in Renton. Still, it’s important that we continue to find new efficiencies and partnerships in order to minimize tax impacts on our residents and businesses. Providing public services is more challenging every year. Cities struggle to address the impacts of homelessness, substance abuse, mental illness, traffic gridlock and affordable housing. Our commitment to serving our citizens is defined by the city’s Business Plan. Each department operates with these goals in mind. This balanced budget proposal will allow us to continue to meet the service needs of our growing community. Other than the 1% property tax adjustment allowed by state law, this budget does not require any new taxes for the next two years to meet our service level objectives. This is despite the end of a $3 million sales tax subsidy we have been receiving from the state for annexing the Cascade/Benson community in 2008. There will be a small property tax increase due to the Council’s recent decision to invest up to $14.5 million, to address major maintenance needs of our park system. As was recommended by the Community Advisory Committee you appointed, our parks and facilities need significant repair and updating. This two year budget proposal shows a revenue of $514.9 million, a nearly 12% increase in projected income over the last budget period. Some of the increase comes from the B&O tax that was instituted last year, as well as utility taxes and court fines. Sales tax and excise tax revenues have continued to be higher than anticipated, but given the fluctuation of the market, our budget projections remain conservative. Like all government agencies, we continue to see costs of labor and materials increasing at a higher percentage than revenues. The vibrant economy has allowed most jurisdictions to keep pace with costs, due to one-time money received from construction activity. This emphasizes that it will be challenging in future years to maintain service levels without new sources of income. We have been fortunate to have a strong economy the past several years. Hundreds of millions of dollars have been invested in Renton on new projects that vary from the beautiful Hyatt Regency Hotel at Southport, to new office developments and housing projects. As many of you recall, we reduced our staffing back in 2009 to address the impact of the recession, despite significant increases in population. We have continued to see significant growth in Renton and have remained conservative in adding back positions to meet the increased workloads. With a population of over 104,000 people, we must now fill a number of key positions in order to maintain the level of services we have been providing. This budget shows an increase of 24 and a half positions to the General Fund, while still preserving a strong reserve for the next several years. As you will hear from Jan and department administrators, the costs for a number of these positions will be off-set by new revenues. We are proposing several positions for the Community and Economic Development Department. This department has seen an explosion of business over the past several years and has broken all previous records in terms of processed permits and inspections. It’s our goal to continue to provide quality and timely service to our residents and developers, as permit requests continue to grow each year. This will also allow us to continue with our successful efforts in recruiting quality companies, new jobs and redevelopment opportunities. We will also enhance our ability to assist seniors and others with housing needs, as part of our Healthy Housing Initiative. This budget calls for an increase of $50,000 for arts and culture projects, in support of the Renton Municipal Arts Commission. Renton is blessed to have one of the finest park and trail systems in the region. As you know, they are heavily used by those living and working in our community. The Community Services Department is proposing to add several key positions to meet our growing demands in our park, trails and recreation programs. We are also proposing to increase staffing to a minimum level in the Facility Division, which is needed to meet all of the ongoing maintenance needs of 66 city-owned and managed facilities. Public safety has always been our number one priority. The Council has continued to provide resources as we have introduced new programs to reduce crime, make people feel safer in the community and develop stronger relationships between the police and the public. 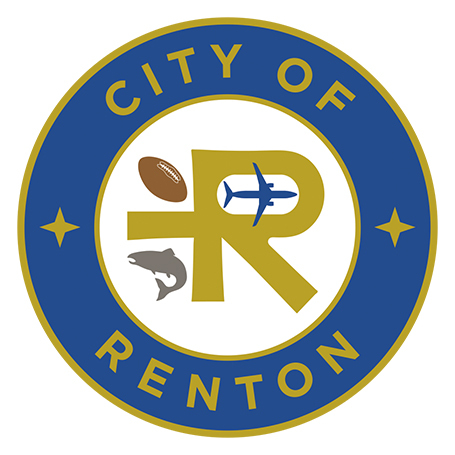 Your ongoing support for additional officers has put Renton is an envious position with other jurisdictions. We have been successful at filling most of our open positions with quality candidates, while other jurisdictions have large numbers to fill. The budget proposal for police includes a records specialist, to address the significant workload in managing records and public records requests. We are also converting a part-time parking enforcement officer to full-time. In Public Works, we are proposing several maintenance positions and a design civil engineer in Transportation. As we all know, technology is the heartbeat of the organization and our IT department has done a masterful job of keeping us online. We have a couple of critical positions proposed for this department. Jan will provide you with a more complete overview of staffing requests in Finance and IT during upcoming department presentations. This budget proposal keeps us moving forward with our commitment of providing excellent service.